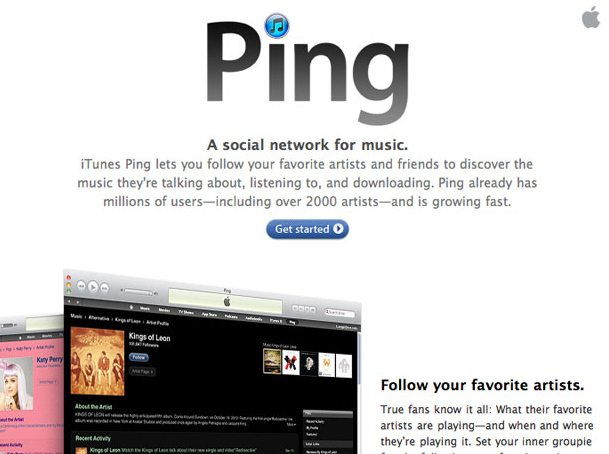 Apple plans to shutter its failed social network Ping later this year, a recent report claims. Apple unveiled Ping in September 2010, and while many Apple pundits seemed enthusiastic about a music sharing and discovery service that might keep iTunes users browsing through iTunes longer and encourage them to purchase music more often, consumers weren’t quite as impressed. After a few attempts to remind users that Ping still existed, Apple gave up on the service for the most part and it has sat idle for some time. With the next major iTunes release this fall, Apple will finally shutter the service completely, AllThingsD reports, and the Cupertino-based company will instead rely on Twitter and Facebook integration for the time being to sate users’ social networking needs.